Soccer Drill X 10,000 hours of touches on the soccer ball is how you master and manipulate the ball in the ways that we see players do on TV. 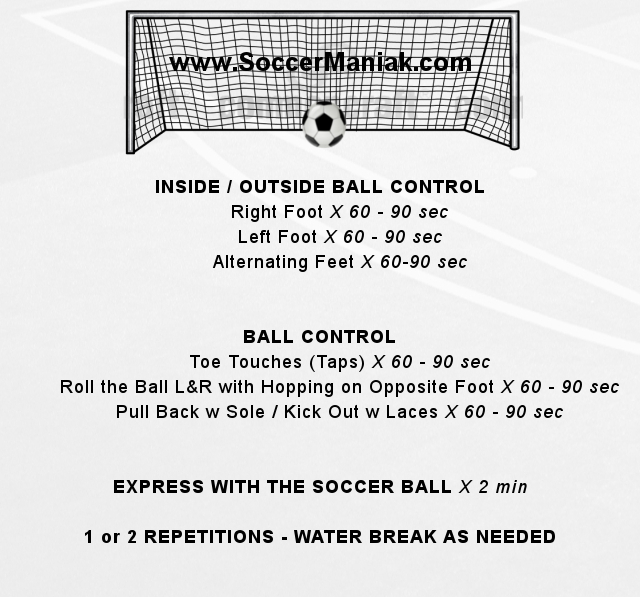 Each soccer drill listed below will concentrate on getting the most touches on the ball. Individual players will need about 1 hour to complete this soccer training session, and club teams will take about 90 min. After 10 min of juggling the soccer ball, move on to more touches on the ball. Take water breaks as needed, but work hard and REALLY CONCENTRATE. After you have finished 1 or 2 repetitions, take 2 minutes to express yourself with the soccer ball. Dribble the ball around the field and get creative, try different skills and tricks with the ball. SOCCER TRAINING FOR KIDS TO IMPROVE TOUCHES, TIGHT TURNS, CREATIVITY, AND OVERALL SKILLS WITH THE BALL. SOCCER DRILL TO IMPROVE AGILITY, SPEED & BALL CONTROL. This soccer drill will help players improve agility, speed and footwork mixed with more touches on the soccer ball. Set up an agility ladder with a soccer ball in front of the ladder. Place 3 cones in a triangle shape spaced 10 m/yd apart. Start by running through the agility ladder. 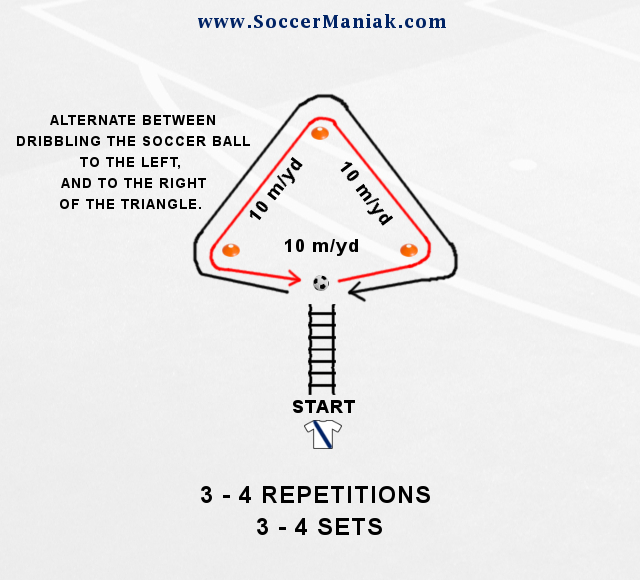 Pick up the soccer ball and dribble it around the triangle cones. Leave the soccer ball in front of the ladder. Run through the ladder once again to complete 1 repetition. Run through the ladder, make a step in every square. Bunny hops. Quick hops with both feet inside every square of the ladder. Five bunny hops, switch to running through the rest of the ladder. Run across the agility ladder. Stay light on your feet for every ladder exercise. 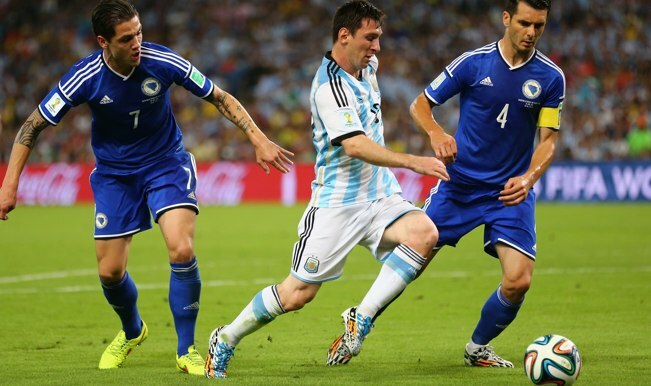 Every step should be a touch on the soccer ball when dribbling around the cone triangle. Alternate dribbling the ball starting to the left / right side. WORK HARD AND REALLY CONCENTRATE. FINISH TRAINING WITH A SOCCER DRILLS THAT ADDS MORE TOUCHES, AND A FINISH ON GOAL. 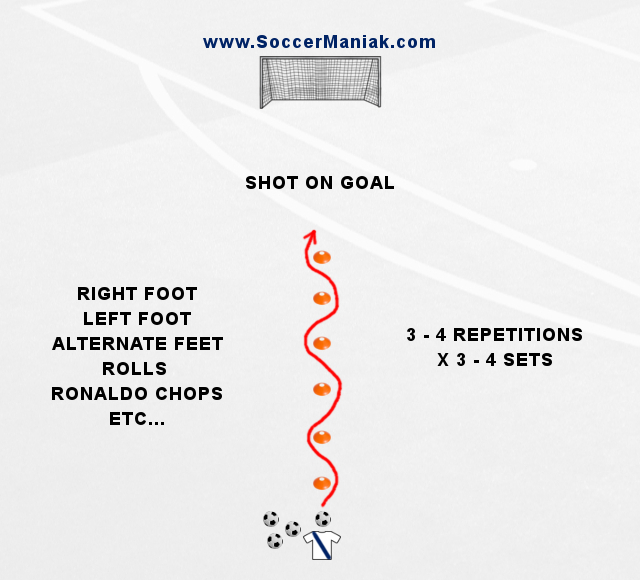 Finish the training hour with a soccer drill that adds a fun factor of shooting on goal. 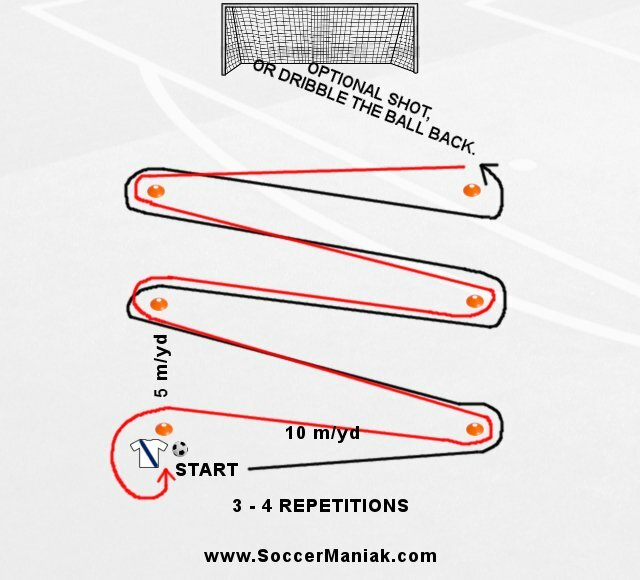 It is best to have 3 - 4 soccer balls so you can complete 3 - 4 repetitions one after another. Set up 6 cones in a straight line with 1 m/yd of space in between each cone. Dribble the soccer ball through the cones. Take a shot on goal. Come back running through the cones. For more touches on the ball you can start at the bottom of the cones with your back facing the goal. Dribble the ball through the cones, turn around the last cone, and dribble the ball back through the cones once again, before shooting on goal. Keep the ball close and control its path with every step. Get creative and use these exercise to make your own. Lots of touches, turns and twists with the ball at your feet.